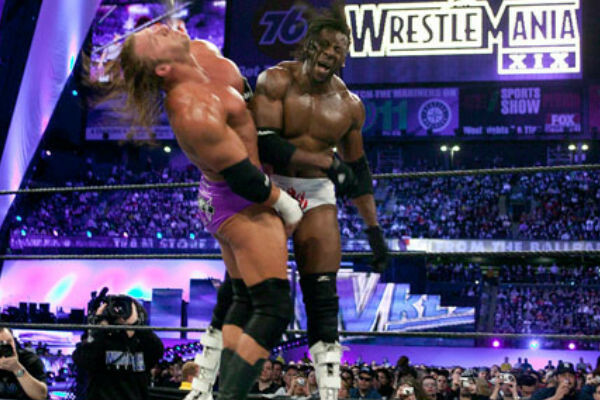 Wrestlemania is known for being a huge event in WWE. Often times, the WWE strikes gold with a number of their decisions at Mania, but there have been a number of times where we were all left scratching our heads. Today, we reflect on a few of those times. Let's get into it. -This was an interesting concept. Booker was disrespected and racist elements were brought into the feud but the endgame should have been the immensely over Booker T getting his championship and winning this feud right? That was what sensible people would have done. Nope. Not WWE. WWE would see Booker lose pretty much cleanly and then drop out of the title picture period. Booker deserved better than that honestly. The fans deserved better than that honestly. -You have momentum. You have an undefeated streak. You have a woman that is garnering some love and is the biggest women's wrestler from Japan that we have seen thus far. On the other side, you have the stale forced daughter of wrestling royalty, who is a solid performer, but who has overstayed her welcome on top of the business by a small margin. So, naturally, at Mania, you put the first performer over and keep her undefeated streak in tact while making her dominant, right? Wrong. WWE did the exact opposite and as a result, Asuka has never been the same since. This was a horrible decision to waste her Rumble win, her title shot, and a possible future match with Ronda Rousey. The WWE Mania booking struck again and Asuka has not recovered and likely won't. -An announcer vs an announcer. There is no reason why this match happened. Nor was it worthwhile. You can add Stone Cold. Insert other wrestlers. Still, it doesn't matter. Much like Roman Reigns headlining every event, fans just didn't want to see this match take place. It would go on for 10 plus minutes for no reason, taking valuable time that could have went elsewhere honestly on an event that was already pretty average on paper. Who won the match is irrelevant, the action in the match is irrelevant, simply put, this match is just irrelevant. -Bret Hart deserved better. 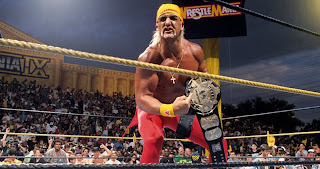 It is sad that Hulk Hogan was such a spotlight stealer but that is who he was. Hogan interrupts Yokozuna defeating Bret Hart and then gets approval from Bret to go and take Yoko's moment in the sun for no reason. Hogan would end up entering the ring and defeating Yokozuna in seconds, rendering the title and the entire main event of Wrestlemania 9 as a joke IMO. Yoko should have retained his title and moved on to another feud or Bret could have retained. Regardless, Hogan as champ for a pointless three month reign made no sense. 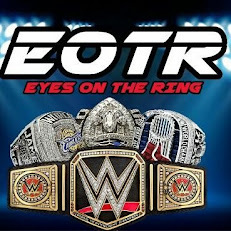 -The last four years has seen a main event that felt forced and while I can't personally pinpoint any particular time in wrestling where Mania was in a main event slump like that, this past year was pretty brutal for several reasons. Reigns is not over fully as a face. He is not a big time star in the way WWE tries to push him. That is the sad reality. 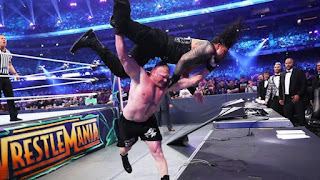 However, absolutely no one wanted to see Brock vs Reigns again and yet WWE forced it on us, then made Brock win to prolong the inevitable by some months. Reigns as champion is a bad idea period, Reigns as a face is as well, and Reigns main eventing Mania in a rematch no one wants to see is a bad idea. Simple.